The Nargun is a large female creature who lives in a cave behind a waterfall in the Mitchell River. 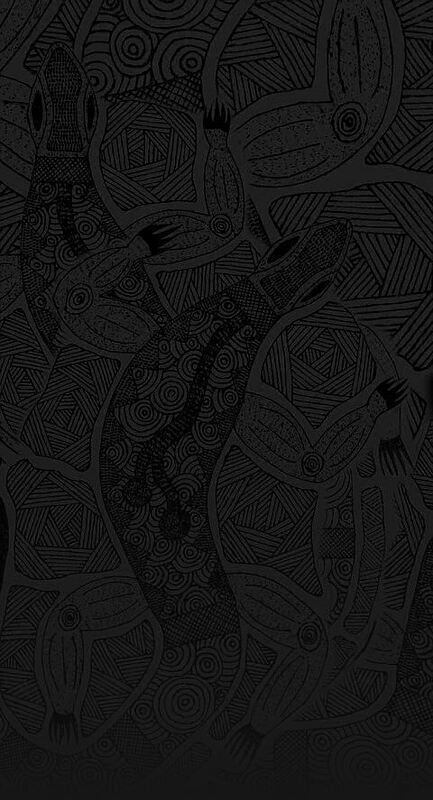 The Den of Nargun is a place of great cultural significance to the Gunaikurnai people, especially the women. 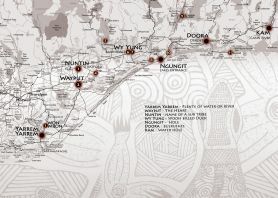 Traditionally Gunaikurnai men were not allowed down to the Den of Nargun or the Woolshed Creek valley. Gunaikurnai men respected this traditional law and still do today. Please treat this place with respect. Stories were told around campfires about how the Nargun would abduct children who wandered off on their own. The Nargun could not be harmed with boomerang or spears. These stories served the dual purpose of keeping children close to the campsite and ensuring that people stayed away from the sacred cave. The Den of Nargun is a special place for women and may have been used for women's initiation and learning ceremonies. The walk into the Den takes approximately 15 minutes each way, or 45 minutes as a circuit walk via the Mitchell River. Note that there are some steep sections along the walk. 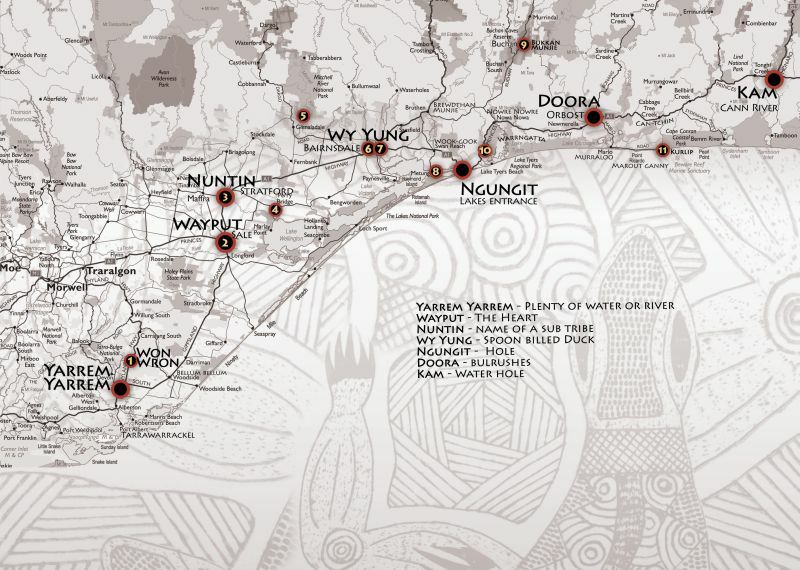 The Mitchell River National Park holds a rich cultural history which tells stories of conflict between tribes, ceremonies, food gathering, community life and spirits that inhabit the area. 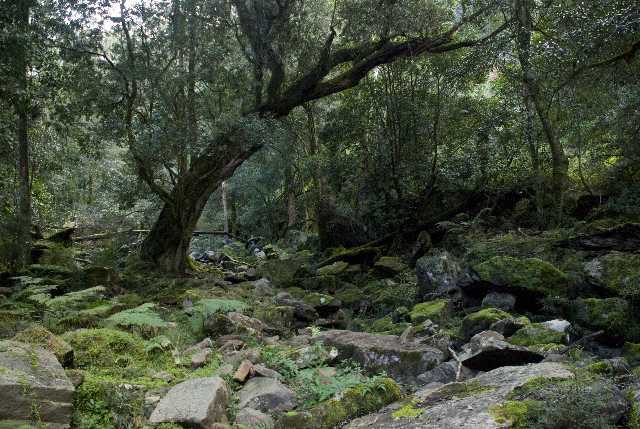 The Mitchell River National Park has the southernmost occurence of dry rain forest with its dominant species of Kurrajong found on the rocky slopes of the Mitchell River Gorge. The park has special conservation values with several significant communities and a number of rare and threatened species of State and National significance. Twenty regionally significant species are found. Alfred Howitt was the first European explorer to survey the river accompanied by two Aboriginal guides, Bungil Bottle and Master Turnmite. Howitt travelled down the Mitchell River in a bark canoe. When they reached the rapids they were forced to abandon the canoes and travel up Woolshed Creek where they discovered the Den of Nargun. The Mitchell River is part of a 260km system, making it Victoria's largest remaining wild and free flowing river. 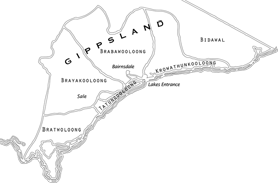 It flows from the Great Dividing Range where the Wonnangatta and Dargo Rivers meet, to its mouth feeding the heart of the Gippsland Lakes near Paynesville. The Mitchell River is heritage listed. 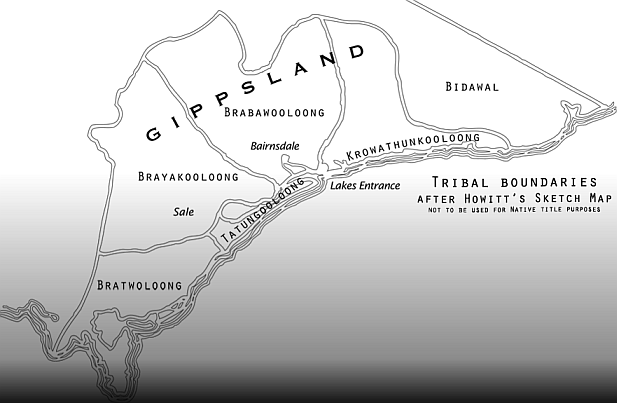 The Mitchell River is the dividing boundary between the Brabawooloong clan to the east and the Brayakooloong clan to the west. Brayakooloong people around the current site of Sale, Providence Ponds, Avon and Latrobe Rivers, west of Lake Wellington to Mounts Baw Baw and Howitt.